Hello PlayStation fans. Starting today, our latest DLC pack — Sons of Trigon — will go live! For this eighth DLC, we’ve packed in brand new Celestial Powers, new solo and group adventures, and an amazing looking new open zone: the Gotham Wastelands. 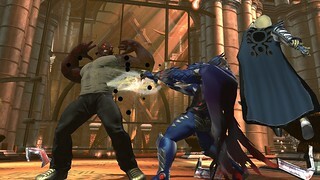 Unlike our last DLC, Origin Crisis, Sons of Trigon will focus on small group content. By that, I mean that it will focus on Solo and Duo content rather than the Raids and longer Operations that were the soul of Origin Crisis. 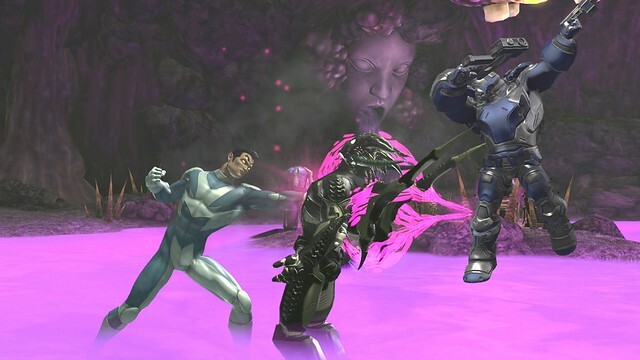 Sons of Trigon will also feature a fantastic four-player Alert — complete with our first “big boss” — Trigon himself. Going forward, we intend to switch back and forth between large and small group content in each DLC. I know there are players that prefer one type to the other, and we don’t want them to wait too long for their favorite. Solo Daily Missions in the Gotham Wastelands (with separate base camps for Heroes and Villains). Group Content Three Duos: ruined Cathedral (featuring Wrath), Knightsdome Arena (featuring Envy), Tunnel of Lust (featuring Lust). Alert: Trigon’s Prison Weekly Bounties: take on the shattered soul projections of Raven in the Gotham Wastelands, found raving somewhere near the central Mausoleum. Villains will be sent to defeat her Good projection, while Heroes will be sent to defeat her Evil projection. Both versions of Raven will be a group boss (Suggested: four or more players). New Gear Two Iconic Suits: for Heroes, the Prideful set (inspired by Raven). And for Villains, the Blood-Cursed set (inspired by Brother Blood). Two Suits inspired by the new Celestial Powertype: Corrupted and Exalted, available to both Heroes and Villains. Collection Reward Items: eight total (One inspired by Nightwing, and seven inspired by DLC8 NPCs). Demonic Weapon Set: all 11 weapon types (available as loot from the Trigon’s Prison Alert). 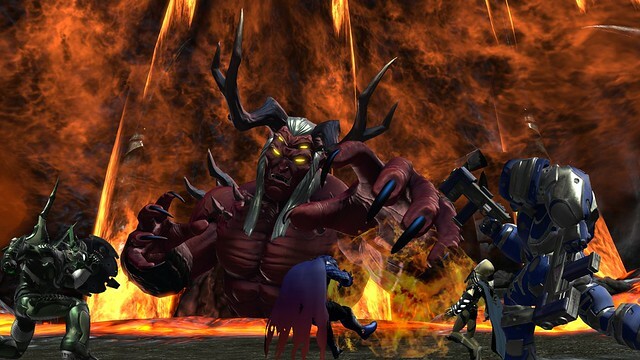 There’s much more to see in Sons of Trigon, so be sure to check it out when it goes live today! See you in game!